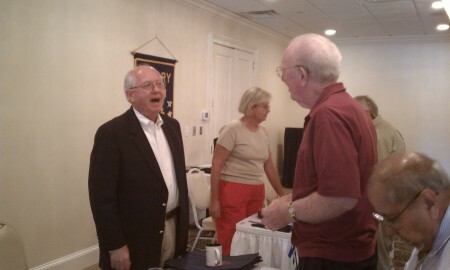 On 9/14/2011, Dr. Ed Richardson, former President of Auburn University, former Auburn’s city schools superintendent, and former State of Alabama school superintendent, spoke to the club about the importance of public education. He suggested improvements that could be made to the system, what we have accomplished through the system, and mentioned some of the things that might be coming. His speech included statistics and valuable information about the health and standing of the public school system in Alabama and across the United States in general.